That peak was on Level 8 of Berjaya Time Square building. The scenery was amazing! About a week into Syawal, we went here to have a short "vacation" since we didn't manage to get anywhere this holiday around. You see, both of my brothers study in those private schools specialize in memorizing Al Quran and stuff, so the only time everyone is in the house is around Syawal. 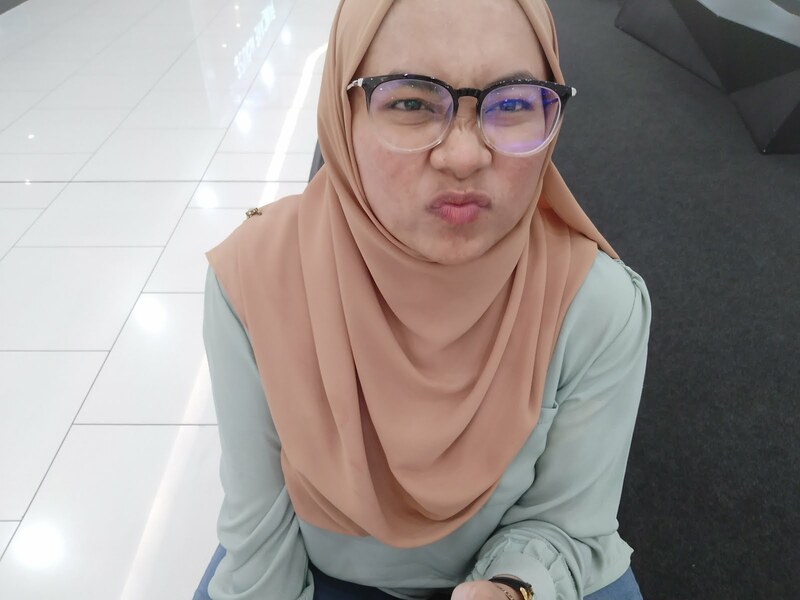 At first, Nabila bugs us to go to a fun fair here (which is oddly still here until now) but I told her the games were too expensive and it was cheaper to just go to Berjaya Times Square. 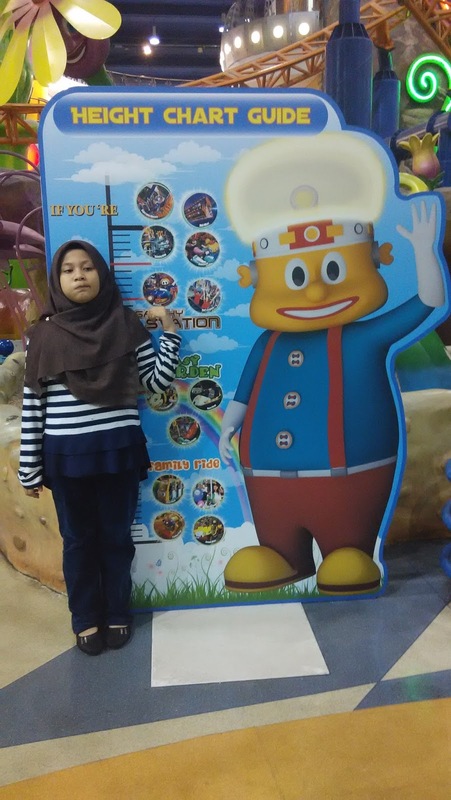 With that folks, that is the story how I finally went to Berjaya Times Square Theme Park. So, a little introduction. If you guys don't know about Berjaya Times Square Theme Park, well, it is a theme park. An indoor one actually which is located inside of the Berjaya Times Square building at Kuala Lumpur. The ticket price for an adult is only RM41 (with MyKad, or else it is RM60) while for kids of age 3 to 12 years old is only RM30 (again, with MyKID, or else it is RM50). Nabila was above the height limit for adults games too. Hooray for her! Click HERE to make sure your height is passable for all the games. You can buy the ticket online HERE. You will get a wristband in which the staff on the entrance oddly insist on wearing it for you. You have to scan a bar code there to get in. You can go out of the theme park twice by simply scanning the bar code again on your way out. You can stay in the building all day long as they are plenty of good places to eat it in Berjaya Times Square shopping complex. There is a cafe in here but it wasn't opened during that day but the candy store and the ice cream store was wayyyyyyyyyyyyy to expensive, so yeah, just go to other places. The theme park does not have surau so you have to go out of the theme park area and go to the surau in the shopping complex which is located in the seventh (women) and eighth (men) floor. Make sure to wear the wristband loosely of else you're gonna have a problem for wudhuk. The wristband is waterproof so don't worry to get it wet. Entry is on Level 5 while Exit is on Level 7. That track for the roller coaster was just maddddddddddd. the promotion is still valid until 25th August 2017! So, this theme park has sort of like two section - one for kids and one for adults. However, the adults can still play all the kids' games (if you can fit into it) while the kids' can play the adults' game if they pass the height limit and is accompanied by an adult. The games for kids are collectively called as Fantasy Garden (the decoration is really fantasy-ish) and the games for adults are collectively called as Galaxy Station. One thing that was such a bummer about this theme park is that there are more games inside but you have to pay separately. I mean whyyyyyyyyyyyyyyyyyy. Like who does that? I don't really mind some things like the virtual reality related games, but the haunted house as well?? No wonder it is quite cheap. It's like some weird marketing inception. At first, I thought that this is great even though it does not have as many games as those in Genting Highland (Genting Highland Theme Park, of course, wins in the size of the games) since it was quite cheap and there weren't many people. But having still to pay the games once you get inside is just wrong okayy. But the roller coaster is so fun and I rode it twice. DNA Mixer was just crazy. Maybe I'm not that salty. Hope this post helps if anyone wants to go there. I actually understands that because I don't get as excited as my dad at some stuff and I was like - my dad is older than me and still gets excited. I'm too old at soul!! Pegi je sekarang, haha, senang je indoor. hujan panas tak kisah dahh. lrt monorel pon belambakk. duit je keluar. Hi! I’m Shamilla. I am a Master student at Faculty of Computing, Universiti Teknologi Malaysia. At the time, I am researching on tourists’ revisit and recommending intentions to destinations with roller coaster-type attractions. Berjaya Times Square Theme Park is one of the destinations that I am studying. 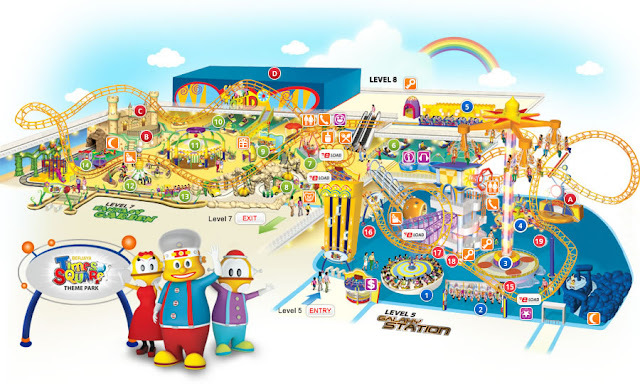 Therefore, I would like to invite you to participate in my survey, to share your experience of visiting Berjaya Times Square Theme Park with me. The survey will only take about 10 – 15 minutes to be completed. Thank you for your time and cooperation.